Recessed Thumb Switch for Steam that cannot get knocked loose like earlier models. Heat Shield for your hands keeps them cooler than with earlier models without any barrier. Includes non-stick iron shoe packed inside the box, plus bag of demineralizer added to master shipping carton. Includes Water Bottle, Silicone Iron Rest, and Teflon Iron Shoe. John, We charge 75USD per hour for labor plus the cost of any parts to do a repair. The solenoid costs about 40USD to replace. The customer pays for shipping both ways. Thank you, Consew. I would buy from your company again and I would recommend you to others. You have extra special customer helpers . I was highly satisfied. This is my second CES-300. I wanted to cry when my first one died a couple of days before I ordered this one. I so wanted to try to get it fixed, but your website quoted $75.00 per hour. I figured that I might as well just purchase a new iron. I guess I just burnt my first one out. I sew constantly and I must have the iron on the entire time. I have a friend who has the same iron and her's has lasted years and years. I can't believe mine went out. Hopefully this one will last for years and years and years. Very Courteous and responsive customer service. Pleasant online shopping experience. I spoke with a customer service person before I purchased because the website was not as clear to me. She helped me with my selection and I appreciate her frankness and detail. She was great. I've ordered other sewing equipment/machines from AllBrands in the past and have always been satisfied. I was particularly happy with my recent purchase - the speed of getting my new iron. I'm a professional seamstress so it's important to me that I get things ASAP (because usually I do not have a back-up when something breaks). I have shopped for a GF iron for a while, and found shopping on your site to be both pleasant and extremely informative.the wealth of information you provide for people who don't know about these devices was a major factor in choosing you as a vendor. Product quality it ok. I 'm satisfaction with the prices and speed of shipment.I wil come back to shop again in the near future. Just a very good experience! Thank you! I was very happy with my experience purchasing from your company! And my follow up e-mail question was answered promptly and was not only helpful, but curteous as well! I will recommend your company! great service, site easy to navigate. very quick mail service. and the best price! I was absolutely thrilled with my iron, the great price, and the surprisingly fast delivery. 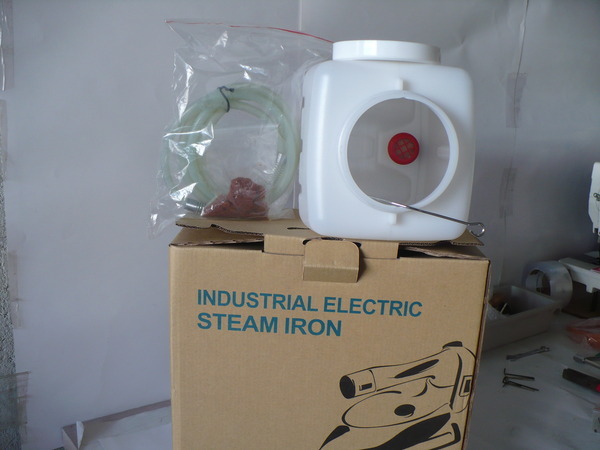 In fact, I sent a friend of mine the link to the iron I bought. She's buying one today. Thank you, I'll be back soon. telephone customer service was very helpful. I placed my order the Sunday before Thanksgiving, expecting it to arrive the week after the holiday. It arrived the day before Thanksgiving without upgrading my shipping! I was thrilled. Allbrands.com never disappoints! Great experience. Very happy with price, quality, shipping of product. I will shop again and have recommended this site to my friends. My first ordering experience with your company was A-1! I was very impressed with the speed of you shipping.